Currently, two Grover Beach pot shops — 805 Beach Breaks and Natural Healing Center — are operational. As of Tuesday, Natural Healing Center is allowed to sell marijuana to recreational users, and 805 Beach Breaks will soon be able to do the same, once it solidifies its state license. Last fall, the Grover Beach City Council adopted a marijuana ordinance allowing four medical dispensaries to open. In May, the council amended its marijuana rules so that recreational pot shops, not just medical dispensaries, can operate in the city. Then last week, the council amended the permits for the four dispensaries, allowing them to sell recreational pot. In addition to amending the permits, the Grover Beach council also voted to allow volatile manufacturing of pot products in the South County city. The move will allow for permitted businesses to produce marijuana oil extract in Grover Beach. The council approved the volatile manufacturing regulation prior to Grover Beach Police Chief John Peters being ready to deliver a report on the public safety implications of the move. Concerned about the possible safety implications of allowing volatile manufacturing, councilwomen Debbie Peterson and Mariam Shah voted against the proposal, but it passed on a 3-2 vote. Grover Beach’s marijuana regulatory scheme, which is the furthest advanced in the county, has drawn criticism over alleged threats, backroom deals and the awarding of dispensary licenses to questionable businessmen. Natural Healing Center, now the first dispensary in the county to offer recreational marijuana, is co-run by Helios Dayspring, a major player in the local pot industry who has been targeted in a home invasion robbery and has sponsored children’s events to promote his marijuana brand. The city of San Luis Obispo, too, is in the process of establishing legal recreational pot sales. The SLO City Council has already adopted an ordinance that would allow for both medical and recreational pot shops, but it is conditional upon voters passing a tax measure. $$$$$$$$: get rid of this and public stupidity remains illegal. Private stupidity will always be legal and without public $$$$$$ to support the consequences it will be short lived. As a person who believes in the democratic process, I can accept that voter initiative was used to implement the decriminalization of marijuana, and now it is readily available from retail outlets. Please do not drive stoned! The roads are whacky enough, and cars are dangerous, so please, please do us all a favor and refrain from smoking the reefer while you are driving. As we respect the voters, I hope you people respect DMV driving regulations. 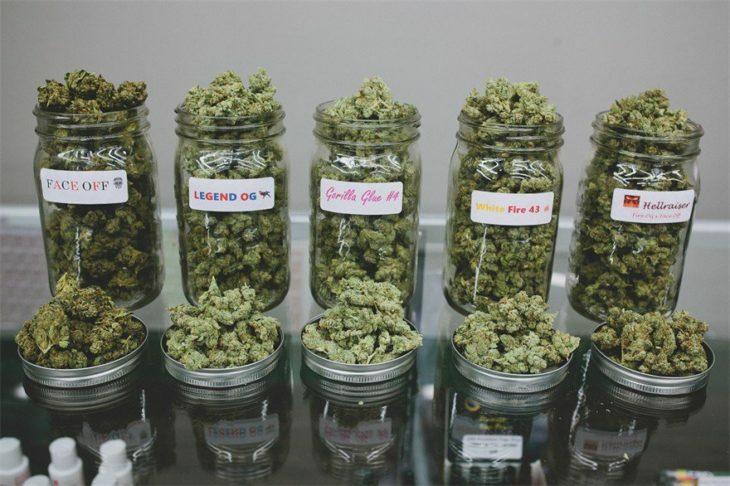 What Tax Measure….are the Rats trying to tie legal pot shops to a Sales Tax Measure? Use Potheads to pass their tax on everyone else? CCN….we need some more info on this TAX Measure!! !